iPhone XS, iPhone X/8/7/6s users are finding many Bluetooth issues after upgrading the iPhone to latest iOS 12.0.1. The Bluetooth connection is not stable and connection is dropping all the time. This was never the case with iOS 11 but after iOS 12/ iOS 12.0.1 upgrade the Blutooth is not working. iPhone X never had any issues with iOS 11, but on iPhone XS Bluetooth headphones and my bluetooth speaker in my office keep disconnecting. 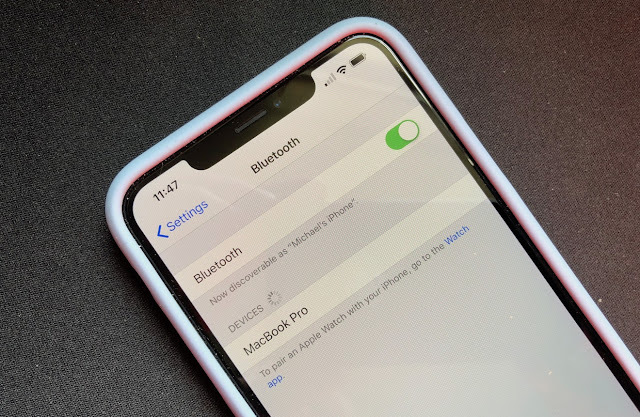 The Bluetooth is disconnecting all the time after iOS 12.0.1. iPhone XS was facing Bluetooth issue majorly with iOS 12 where Carplay is not working and iPhone XS could not connect to Car stereo. In the release notes of iOS 12.0.1 says that it fixed the Bluetooth connectivity issues with iPhone XS devices, but it does not seems like the same as the iPhone XS has bluetooth issue in iOS 12.0.1. The cars stereo is still getting disconnected every couple seconds. It seems less frequent now with iOS 12.0.1 but it still happening constantly. The Bluetooth issue can be due to any software glitch while upgrading. Back your phone up to iCloud and then restore it to factor settings using a computer and iTunes. Please check the Bluetooth without restoring the backup. Restarting the iPhone XS and other devices seems to fix the issue for some time. But the issue may occur again. It is also recommended to repair the devices for stable connection. Not all iPhone XS users are facing the Bluetooth issue. For some iPhone XS user the Bluetooth work flawless and not issue are reported. So the blueooth issue in iPhone XS could be hardware defect in your iPhone. So please take your iPhone to genuine Apple care centre for further investigation.